Counseling and Psychotherapy Theories in Context and Practice: Skills, Strategies, and Techniques, 2nd Edition is an in-depth guide that provides useful learning aids, instructions for ongoing assessment, and valuable case studies. More than just a reference, this approachable resource highlights practical applications of theoretical concepts, covering both theory and technique with one text. 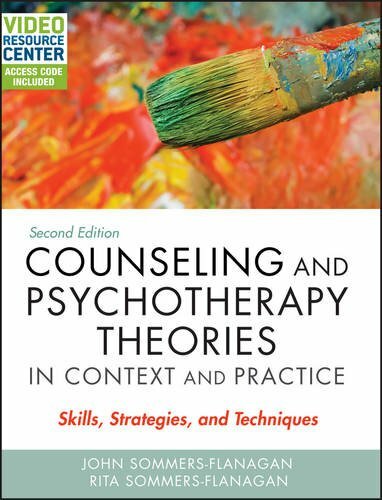 Easy to read and with engaging information that has been recently revised to align with the latest in industry best practices, this book is the perfect resource for graduate level counseling theory courses in counselor education, marriage and family therapy, counseling psychology, and clinical psychology. Included with each copy of the text is an access code to the online Video Resource Center (VRC). The VRC features eleven videos—each one covering a different therapeutic approach using real therapists and clients, not actors. These videos provide a perfect complement to the book by showing what the different theories look like in practice. Showcasing the latest research, theory, and evidence-based practice in an engaging and relatable style, Counseling and Psychotherapy Theories in Context and Practice is an illuminating text with outstanding practical value.